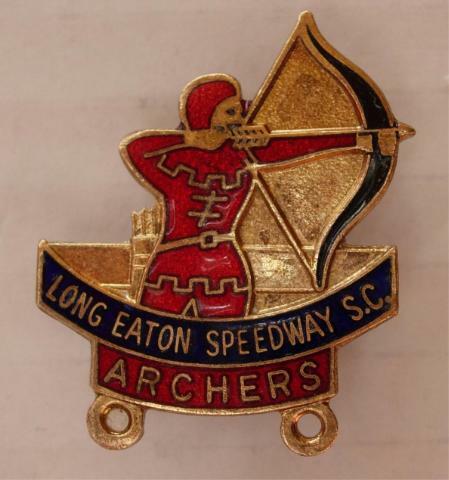 Waaaaay back in the mid 60s I used to go to the speedway to watch Long Eaton Archers. I think the managers name was Ron Wilson. They moved to Leicester I think in about 67.Does anyone remember them or am I the oldest f**t on the forum? I went to Long Eaton Stadium to see 'Banger Car Racing' around 1970. The stadium is now long gone, though the land has not been redeveloped. I had a job there, I should say I paid a call there, mid 90's in the Ramshackle stadium. Lacking maintenance for many years. There may still be buildings there but I have not been on the site for many years. The Pub (name?) was knocked down a few years back, and that land also stands vacant? I can't remember the name of the pub either but me and my mate had a few pints in there. Then we would jump on my motorbike and zoom off to Beeston where I dropped him home and thence damn fast ride back home to WB. Grange Hotel, does not sound right to me unless the name changed? The big one on Station Road? featured in the News of The World? I'm still befuddled by Grange Farm! Was it not, simply, the 'Station Hotel'? Let me put you all out of your misery, being a fan too of the Arches Speedway team back in the 60s, i too traveled there on motorbike with my girl friend who became my wife in 1970. After the speedway stopped we turned to Stockcar racing but that didn't last long either. Regarding the name of the pub on Station Street Long Eaton that was called The Stadium, as mick say's alas long gone. I believe the Station pub is a little bit further up Station street the other side of the railway crossings..
Looks like i got it wrong Scoots and for that i apologise. Picked a load of old speedway badges up last week which I was going to shift on eBay there is some Nottingham ones - or is Long Eaton D*rby ? Joking Long Eatons in D*rby !!!!!! I have a posh sister that lives in Breaston you telling me I'm related to a sheep shagg3r !!!!!! Sorry a bit slow there...would you except £1 for the badge? Errrrrrmm a 75% profit is very tempting , but I'll decline your generous offer . Does that mean i have to up my offer red? Why dont you upload these as attached images so they remain for posterity? After a while linked images will not appear here (when ebay drops the expired auction). then attach to seperate posts. Interests:RETIRED! Developing my own business (www.bits4brits.net), working on cars and riding my two motorcycles (one at a time), and taking trips in the RV. How on earth did I have time to work? I was an avid "Archers" fan - and rarely missed going. The pub was, indeed, The Pavilion, and they had access to a bar at the back of the pub, so you could buy a pint without leaving the stadium! There have been efforts to build a new stadium and begin sppedway racing again, but it looks like it has all finally fallen through. Two years on and the levelled ground where the stadium and pub use to be is still a wilderness. I went to the Speedway a couple of times,,,,,, to be truthful, I found it a bit boring,,,,,,,,,,,,,,,,,,, to me every race was like the one before,,,, the only saving grace was that it used to attract some luvverly ladies. I went there with a mate (that good a mate - I can't remember his name !) who used to live on Redland Avenue at the bottom of Gedling Road,,,, they had a couple of Track bikes in their garage,,,,, to me they looked in far to good nick to have been used much ! We used to ride 'em up & down Redland,,, until the usual complaints abaht noise. Talking of Redland Avenue,,,, does anyone know Steve Stanley who used to live on Redland Grove ? He'd be 60 now. In 1965 his first car was an Austin Cambridge (pale blue & white) & johnny Trainor & I had Consuls (they of long long bench seats !). I knew the Cockayne family and the Ramseys , both were near the top.